Deputy Prime Minister Barnaby Joyce may be a dual citizen. News MALCOLM Turnbull’s Justice Minister Michael Keenan may reportedly be a British citizen. 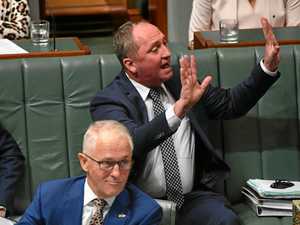 News DEPUTY Prime Minister Barnaby Joyce has made the shocking announcement that he will refer his own eligibility to sit in Parliament to the High Court.